Designed to appeal to young students at the very early stage of reading.Constructed for beginner readers ages 3 through 8, these books focus on reading letter sounds in CVC words. Reading Letter Sounds in CVC words. 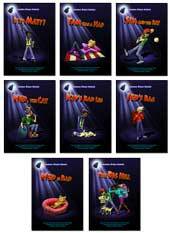 Designed for older students, these books can be used to either teach or reinforce new and already learned decoding skills. 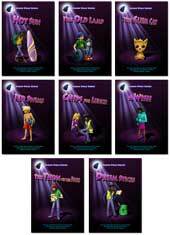 All seven progressive phonics series feature action-packed stories, with the conclusion of the story in each set's final book. Designed to appeal to older students at a very early stage of reading.